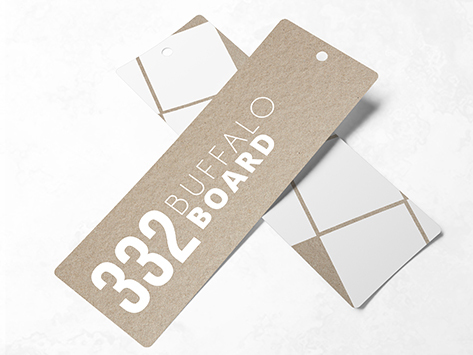 With its clean, distinctive, natural look, Buffalo Board has a unique two-ply design which gives it outstanding strength and durability. Made from natural fibres that are fully recyclable, this uncoated board is the perfect choice for clients wanting something a little different. White Ink AVAILABLE!